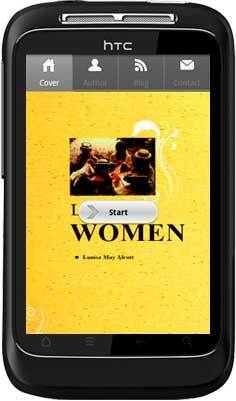 Little Women is a novel by American author Louisa May Alcott (1832–1888). The book was written and set in the Alcott family home, Orchard House, in Concord, Massachusetts. It was published in two volumes in 1868 and 1869. 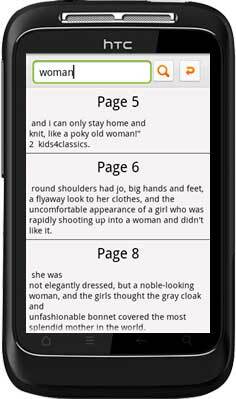 We convert this book to Android app for portable readings. You can easily install it in Android like other android apps and flipping, searching, index, etc. 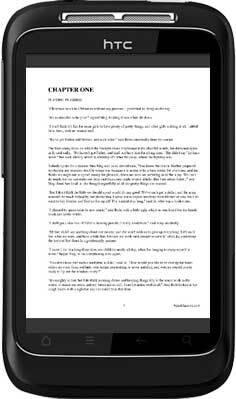 More detailed and thinkable information you can append for example author, publishing house, international language, blog, even people who read your book can contact me by email address on the book itself. 1. The standard cover of Little Woman. 2. 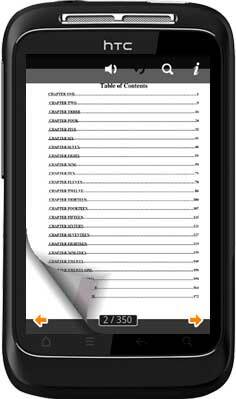 The table of content, the catalog is valid when click it can bring you to the specific page. 3. Common full screen page. 4. In the searching form enter "Woman" to search where it is.